The GTA Accountants Network/Finance Network (GTAAN/GTAFN) and First Reference are presenting four special training sessions for CPD hours in November 2018 on governance, risk management, treasury management, effective internal controls and how best to deal with organizational disruption caused by new technologies, disintermediation and demographic changes. 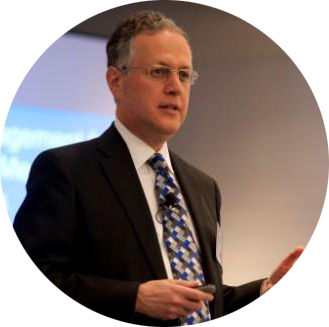 The courses will be presented by highly rated instructor, and original author of the Internal Control Library, Jeffrey Sherman, Bcomm, MBA, CIM, FCPA, FCA. Ensure you don’t miss the opportunity to benefit from Jeffrey’s wealth of knowledge and expertise in these areas and earn 8 PD hours per session at the same time. Register before October 15, 2018, to benefit from our early-bird discount! Regular price $415. Now $390. This seminar is designed for CPAs in industry, including finance directors, managers and controllers, who want to help their organization survive and prosper, and CPAs who advise clients. This seminar is designed for financial managers and treasurers, including controllers, analysts and senior accountants, looking for a refresher or a primer on cash and treasury management, as well as accountants and consultants who advise clients. This seminar is designed for senior financial managers, including controllers and CFOs, who want to help their organization survive and prosper, as well as accountants and consultants who advise clients. One more time: what is internal control, really? This seminar is designed for CPAs and other financial professionals, including controllers and CFOs, who want to help their organization’s efficiency and effectiveness, as well as anyone who advises clients on effectiveness, structure or controls. Jeffrey D. Sherman has over 25 years’ experience as a corporate director and executive in high tech, biotechnology/medical, financial services and business services. His interests include corporate governance, risk management and internal control, corporate finance, restructuring, start-up enterprises and initial public offerings. Mr. Sherman is a popular presenter and was an adjunct professor at York University for 15 years. He is a frequent course director and course author for many organizations including provincial bodies of chartered professional accountants across Canada, and the Law Society of Upper Canada, and has written many magazine articles and over 20 books. 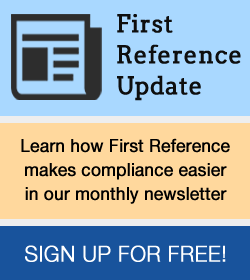 He is also the author of First Reference’s Internal Control Library, including Finance & Accounting PolicyPro®, Information Technology PolicyPro® and Not-for-Profit PolicyPro®. Very relevant as to how to help your business by being a finance leader. Overall great and very worthwhile. Excellent facilitator. His depth and breadth of experience was the key to the success of the program. Great presenter. I learned much more than I expected to. Learn more and register at gtaaccountantsnetwork.com.